If you aren’t a fan of black coffee, you might be putting some pretty disgusting stuff into that morning cup of joe. 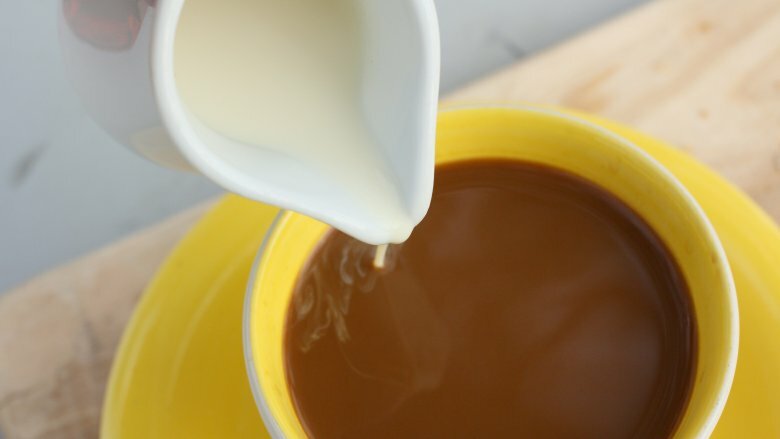 Non-dairy coffee creamers have a concoction of oils that allow it to mimic the creaminess of milk. Most creamers use soybean or cottonseed oil to give it that smooth consistency. Each time you add liquid creamer to your coffee, you’re basically dousing it in oil. If you think oil in your coffee is strange, you probably don’t want to know what powdered creamer is made out of. Powdered creamers conatin an anti-caking agent called sodium alumionosilicate. This substance is highly flammable — not exactly the sort of thing you want to drink at breakfast.